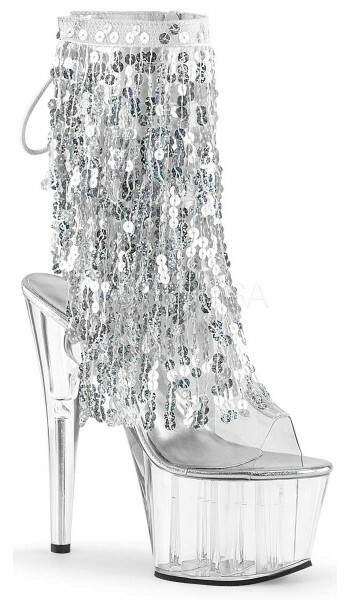 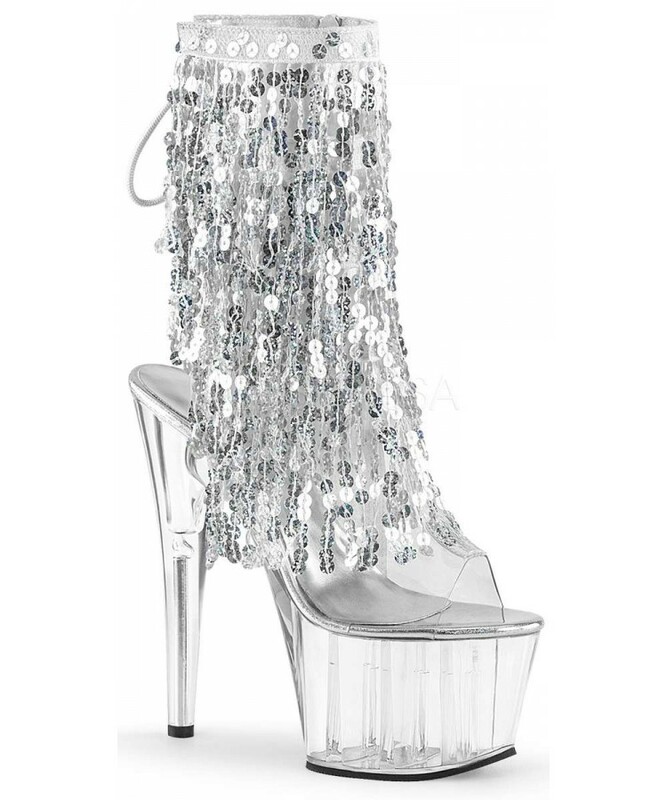 Made for dancing on stage or off, these silver sequin fringe Adore 1017 ankle boots have open heel and toe on a clear platform heel. 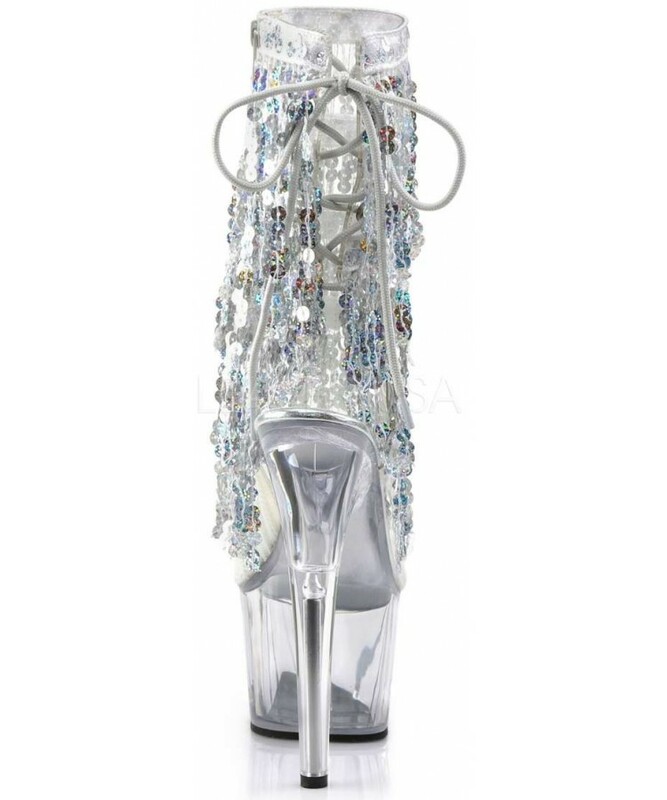 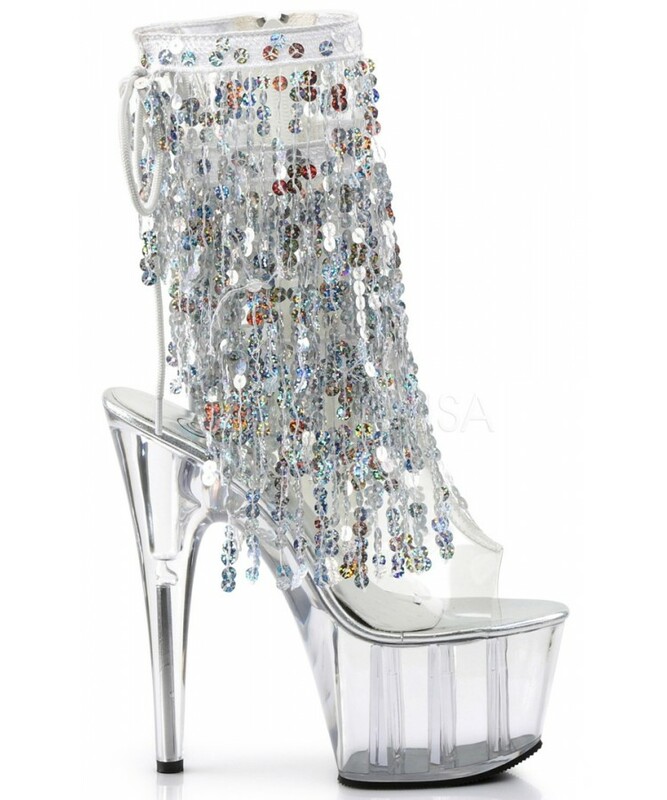 Clear 7 inch stiletto heel and 2 3/4 inch platform Adore 1017 ankle boot has a sequin fringe that moves and reflects the light beautifully as you dance - 4 layers of it that shimmers with your every step. 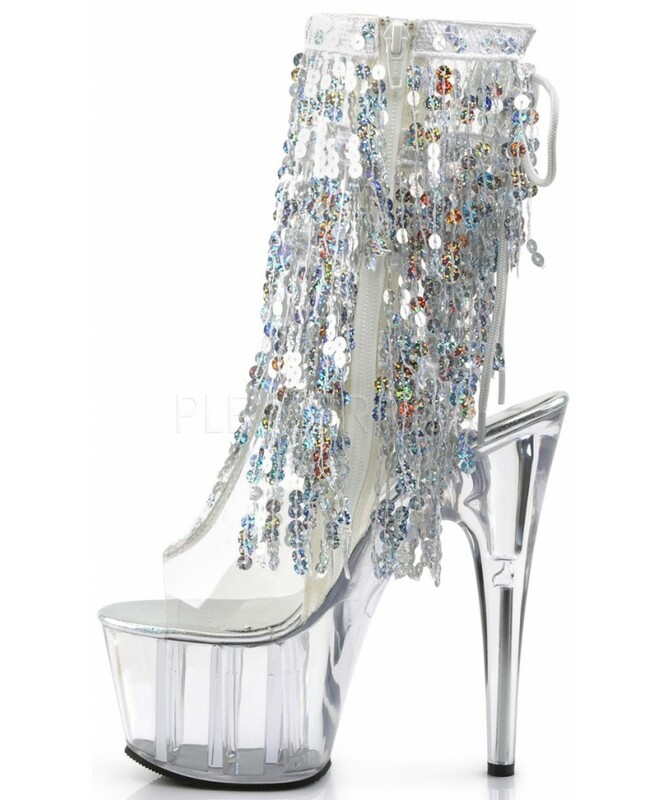 They feature an open top and heel with lace up back and inside zipper closure. 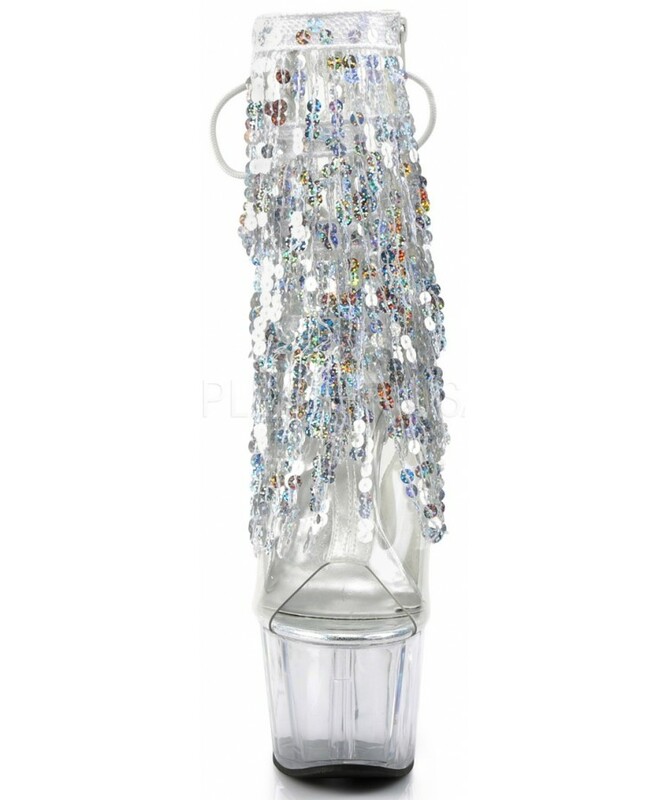 Item Number: PL-ADORE-1017SQF | Approximate Size (Inches): 10.00 wide x 12.00 deep x 8.00 high | Approximate Shipping Weight: 3.00 lbs.